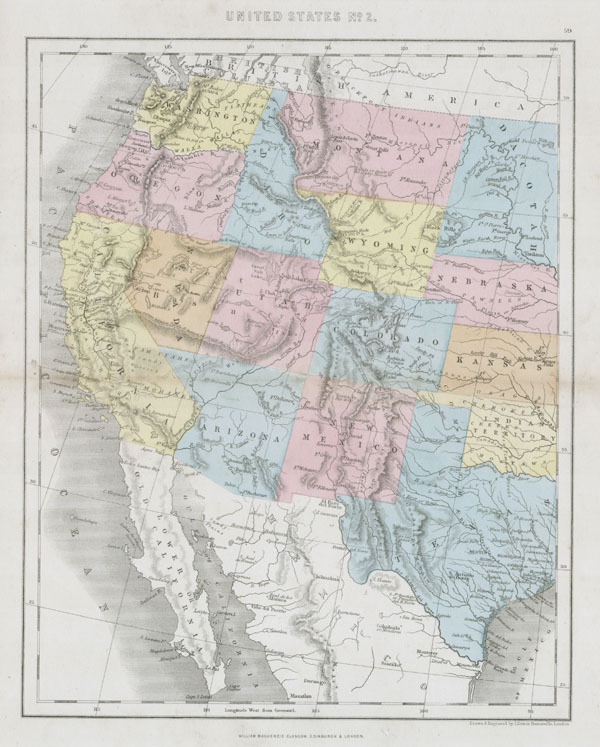 This hand colored map depicts the western half of the United States including Texas, Arizona, California, Utah and Nevada. The map was made in 1864 by the English mapmaker Mackenzie. It shows Arizona extending into what is today Southern Nevada. Utah has two important cities, Fillmore and Salt Lake City. Salt Lake City is the capital. The Dakotas remain undivided.